The great-granddaughter of Juliusz Kossak, granddaughter of Wojciech Kossak, and the daughter of Jerzy Kossak – three painters who loved both Polish landscapes and history. A niece of Maria Pawlikowska-Jasnorzewska and Magdalena Samozwaniec. She was meant to be a son and the fourth Kossak – carrying easels and her famous surname just like her ancestors. Instead, she chose a path of her own. The mother of Simona, (…) Elżbieta Dzięciołowska-Śmiałowska, was her future husband’s mistress before she became his bride. Neither a wife, nor a fiancee, but a lover. Her affair with Jerzy Kossak developed for years. Kossak, already married to Ewa Kossakowa nee Kaplińska, became involved with Elżbieta, 24 years his junior, in the mid 1930s. It was, as can be assumed, the relation of a teacher and a student. An affair between a boss and his assistant. The love of a woman who had the looks and a man who had the name. And who also had a wife and daughter. Jerzy Kossak’s paintings reveal the story of this affair. In 1935, the future father of Simona painted a portrait of Elżbieta’s father, Wiktor Dzięciołowski. He signed the painting "For the lovely Elusieńka, in memory of her Beloved Father.” He used either the diminutive Elusieńka, or Elżunienka, it is not easy to decipher which today. 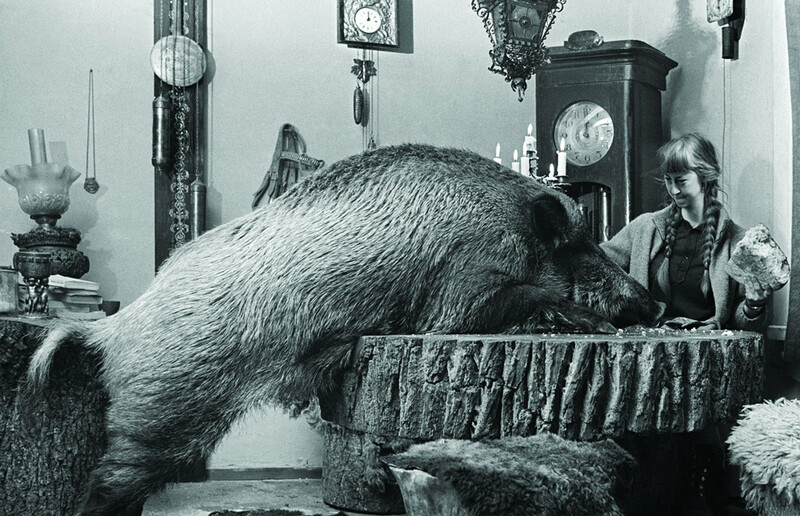 In the mid 1930s, then, Jerzy and Elżbieta clearly not only knew each other but also liked each other. In 1937, Kossak painted a canvas based on motives from Adam Mickiewicz’s "Ucieczka" (The Flight). A horseback rider holds a naked woman, whose features resemble those of Elżbieta, and a signature reads: "To the very loved Bubuś on the patron’s day." Bubuś (and Bobuś) were the nicknames by which Jerzy would call Elżbieta, when she became his wife. 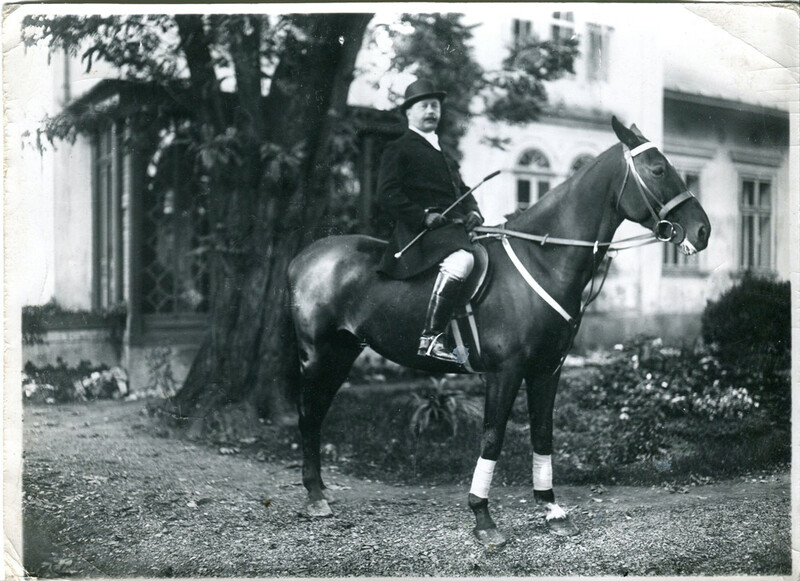 Jerzy Kossak, the father of Simona, adored horses like his ancestors. Photograph from the Kossak family archives. With what did Jerzy impress Elżbieta? His name? Or was she looking for a father figure in a man significantly older than her? He certainly didn’t lure her with money – the Kossaks were largely indebted at the time – or his looks. Jerzy was short and thickset, he didn’t inherit much of his father’s handsomeness. But she "loved him like crazy,” according to the claims of their granddaughter, Joanna Kossak, the child of Gloria and Simona’s niece. Before Simona went to live in Dziedzinka, the house had to be renovated. The employees of the Białowieża National Park repaired the roof, changed the joists, got rid of the fungus and said that that ought to suffice for five years (and indeed it did). After the renovations, Simona started to arrange her part of Dziedzinka. She plastered walls with wallpaper, washed the windows, placed the sofa, the bench, and upholstered the armchairs that were brought over from Kraków. 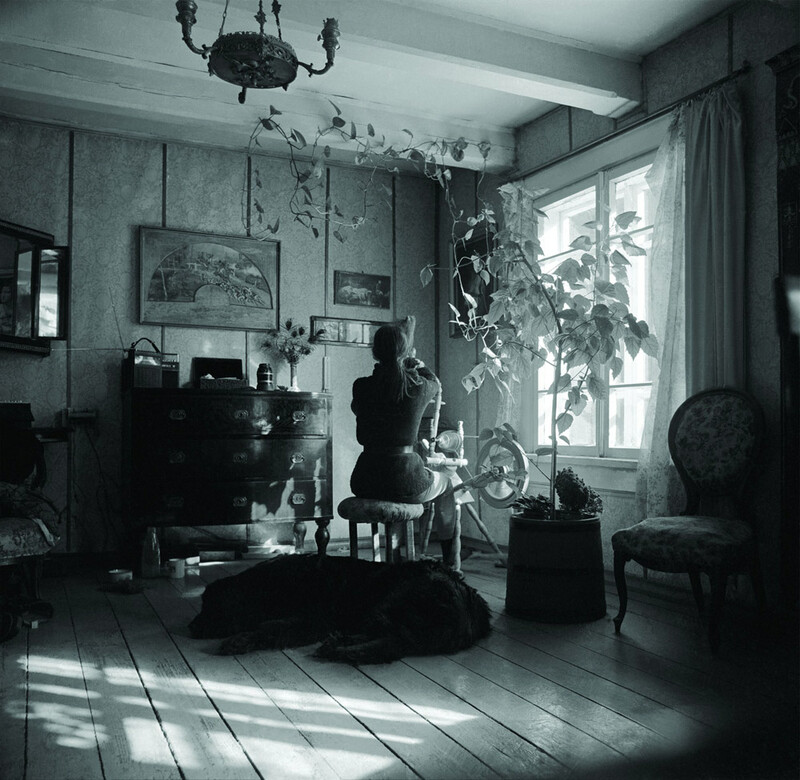 She brought clocks from Kossakówka, as well as a Turkish dagger, lace tablecloth and window curtains, books, oil lamps, an antique iron, a collection of weapons, ebony jewellery chests, as well as glassware, porcelain, cupboards and an oak bed that she inherited from Maria Pawlikowska-Jasnorzewska. She hung a shotgun from the Kossaks’ collection right by the door. And she didn’t care when Jacek Wysmułek said to her: "You won’t make a Kossakówka out of Dziedzinka.” A large tile stove in the old style stood in the corner of Simona’s room, and a large table was placed in its middle – it was her workshop study where she worked by an oil lamp. 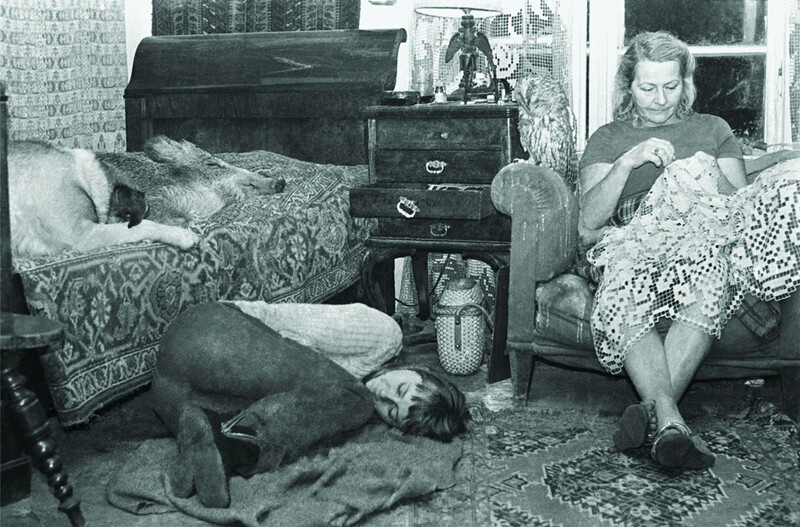 All the furniture, tablecloths and books came from Kossakówka with Elżbieta Kossak, who came to stay with her daughter. In the summer, Simona divided her own part of the Dziedzinka from that of her mother with a curtain. The first Kossak rode on horseback and in a carriage, the second rode on horseback, in a carriage, and in an automobile, and the third used the same means of transport as his ancestors. 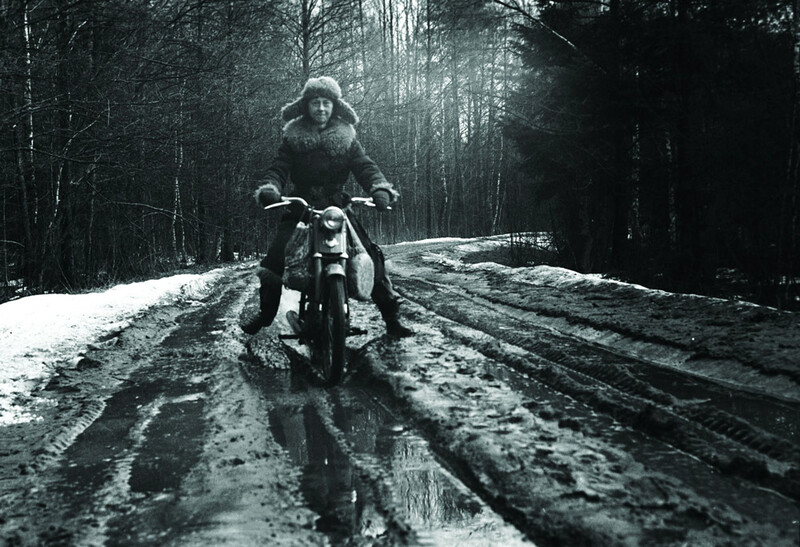 Simona rode a bicycle, the 'komar’ motorbike [the nickname literally means mosquito], a small Fiat aka Maluch, an all-terrain vehicle, a tractor, and she also swept through the landscape on cross-country skis. She covered the trail from Białowieża to Dziedzinka hundreds of times on all these vehicles. The route which some monikered the Paris-Dakar Rally was filled with mud, and it was regularly demolished by cars which carried out oak wood from the forest. [Simona’s mother] Elżbieta travelled between Kraków and Białowieża for two years. 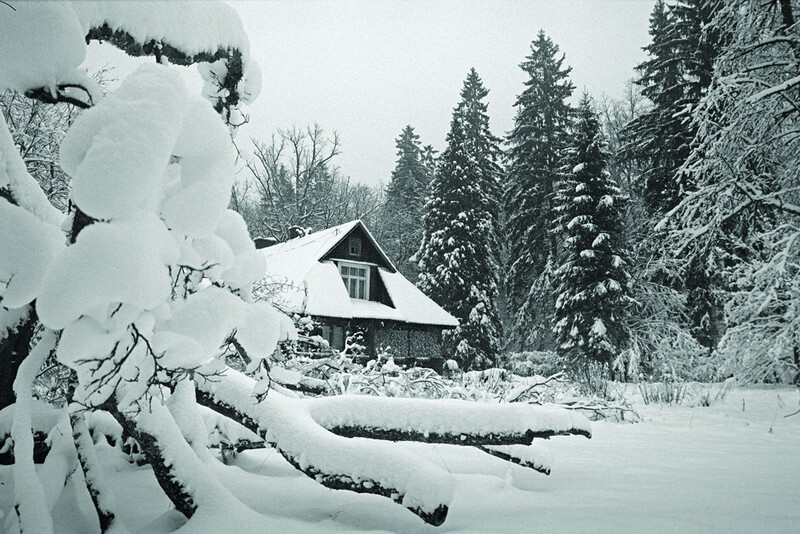 For the winter, she would return to the hut in Kossakówka. She had problems with her hip and walked with crutches, and moving about Dziedzinka, where the privy was outdoors was a huge challenge. 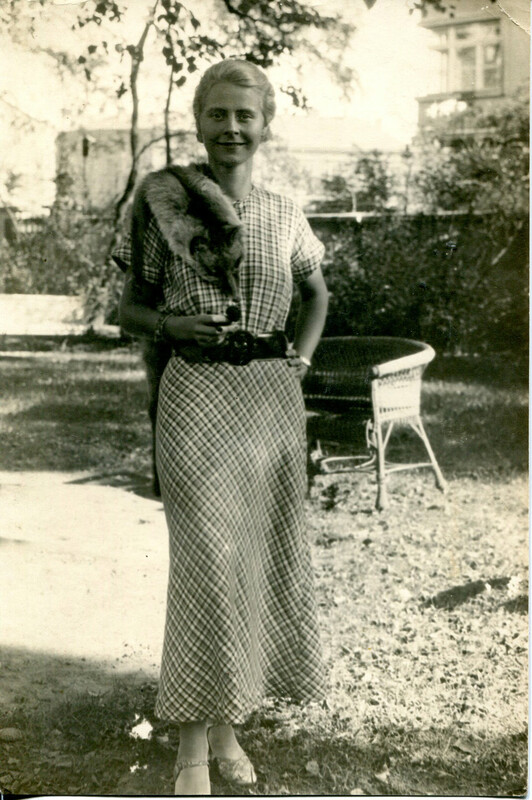 But for this woman, brought up in the tradition of landownership, Dziedzinka must have been a true paradise – life in accordance with the rhythm of nature, frying jams, and five o’clock tea. Life on Dziedzinka did resemble an atmosphere of a manor in the summer – reading by the light of oil lamps, keeping hens, and with time, also spinning wool. On top of that, the chime clocks from Lech Wilczek’s collection resounded every hour. Simona now lived not unlike her grandmother, Mrs. Wojciech Kossak, and probably much like her own mother in her childhood years. Just like them, she also used herbs for medicine and used the words such "subiekt” [subject] and "etażerka” [meaning both a whatnot and a rack]. And just like her mother and grandmother, she paid attention to what kind of company she surrounded herself with. In conversation, she also used the esprit de répartie, witty riposte, in which she was trained since her early years, like every landowner's child. 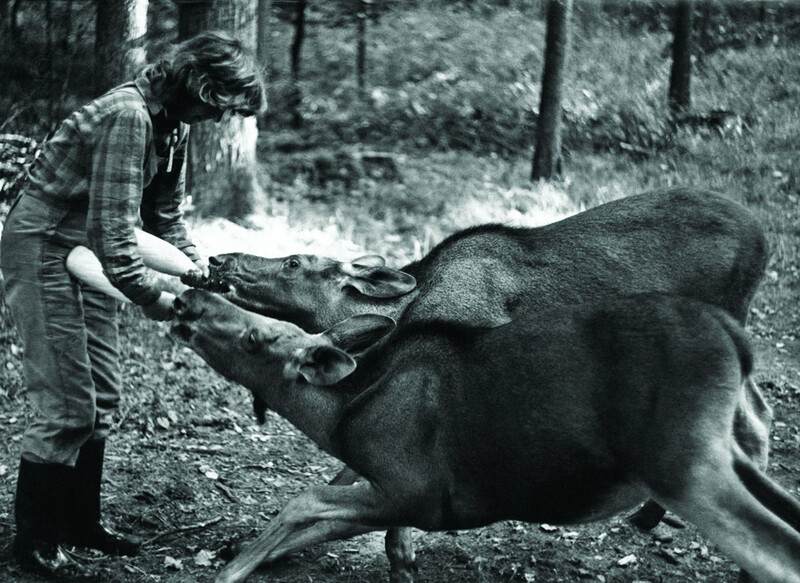 And first and foremost, she did not consume her life, but rather treated it as a task, and at times – as a mission. Anna Kamińska – a journalist, author of books, and a television publisher. She wrote for the "Wysokie Obcasy" ("Gazeta Wyborcza") weekly, as well as magazines such as "Uroda Życia", "Zwierciadło", "Sukces" and „Pani". The author of "Odnalezieni. Prawdziwe historie adoptowanych" (The Re-found. True Stories of the Adopted) (2010), "Miastowi. Slow food i aronia losu" (Cityfolk. Slow food and the Aronia of fate) (2011) and the biography of the hippy from Białowieża „Simona. Opowieść o niezwyczajnym życiu Simony Kossak" (Simona. 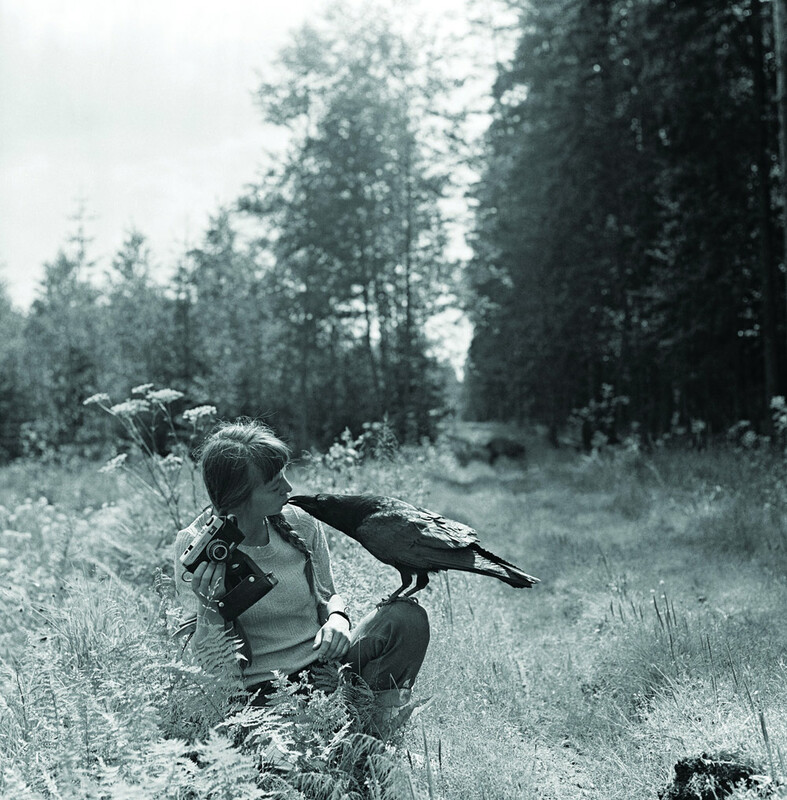 The Story of Simona Kossak’s Extraordinary Life) (2015). 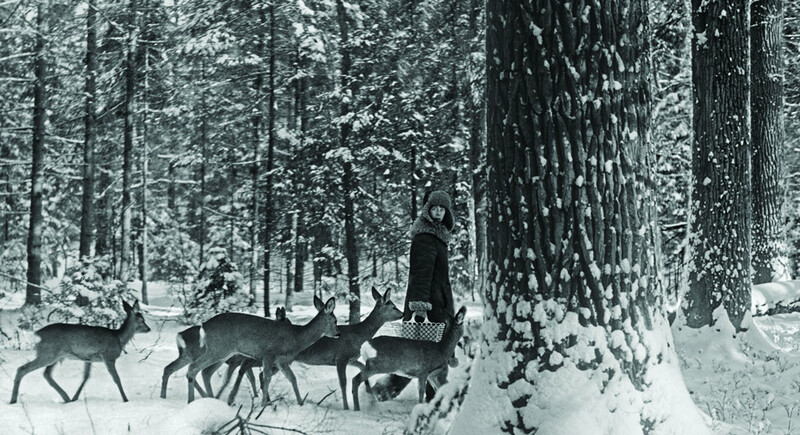 In her free time from writing, Anna Kamińska plays the cello.